Sutton Coldfield is a town in the West Midlands of England, which resides within the metropolitan borough of Birmingham. With a population of around 95,000, there is a range of lovely properties in the area that are very much in demand, reflected by the strength of the local market. At My Home Move Conveyancing we have been developing our knowledge and expertise of local areas like Sutton Coldfield since 2002, enabling us to deliver our clients a specialist, fixed fee conveyancing service that is like no other. When considering the sale or purchase of property in Sutton Coldfield, you must instruct a lawyer to carry out the legal work on your behalf. 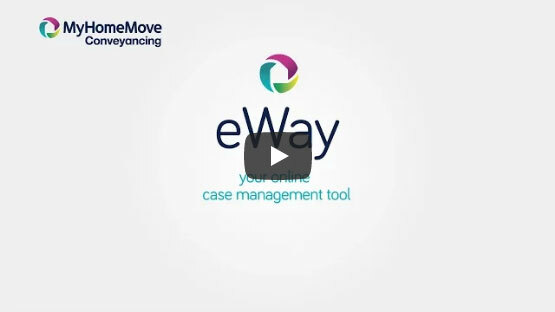 My Home Move Conveyancing offer our clients in the Sutton Coldfield area an award winning level of customer service, an innovative use of technology and intimate knowledge of the local market. Our fixed fee conveyancing service comes with no hidden extra costs to worry about, meaning that when you select us as your Sutton Coldfield conveyancers you can budget for exactly how much you’re going to pay from the outset. If you don’t end up moving, you won’t have to pay us a thing. We will assign you a dedicated conveyancer who will take care of all aspects of your case from start to finish, providing you with a consistent point of contact and regular progress updates. At My Home Move Conveyancing we can assist many homebuyers with our conveyancing services in Sutton Coldfield, from those looking for something in the town centre to neighbourhoods with close proximity to Sutton Park such as Doe Bank and Four Oaks and spots on the outskirts including Roughley. The average house price in Birmingham is £125,020, while the overall average sale price in Sutton Coldfield over the past year was substantially higher than this at £280,319. Most sales involved detached properties, which went for an average of £431,249. Semi-detached properties averaged at £234,963, and flats at £146,879. The local area bears evidence of Bronze and Iron Age settlement, while the Romans also left a lasting impression on this part of the West Midlands. Sutton Coldfield developed a strong military connection throughout the 15th century, while the town also has a rich heritage as a mill town and industrial centre. Nowadays Sutton Coldfield has continually been modernised since the end of the First World War, and the town is a desirable place to live offering modern amenities such as the Gracechurch Shopping Centre. It also offers close proximity to Birmingham, which can be reached in less than 20 minutes with rail services to the city’s New Street station. The M6 Toll road and M42 pass to the east of town, while the regular M6 motorway is only a little further from town. Birmingham Airport is less than 15 miles away from Sutton Coldfield, and can be reached in around 40 minutes by train. There is an excellent range of schools in the area for looking after your children’s education; primary options include Lindens Primary, Little Sutton Primary on Worcester Lane and Maney Hill Primary. Sutton Coldfield Grammar School for Girls on Jockey Road, Plantsbrook School and Fairfax School are among the choices at secondary level. All properties in Sutton Coldfield will fall within one of the following council tax bands.